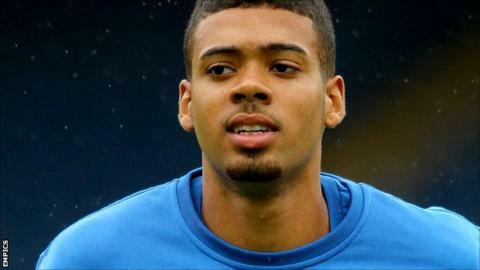 Jake Jervis will be out of action for two weeks after suffering an ankle injury on his debut for Tranmere. He marked his debut with a goal, but was later taken off and adds to Ronnie Moore's injury concerns in attack. "We just get a new one in and then another injury happens," Moore told BBC Radio Merseyside after Rovers' first league loss of the season. "I thought his pace was causing them no end of problems. "We're going through one of those stages when nothing's going right. It's sad when you lose a lad who has just come in." Tranmere will be without seven-goal striker Jean-Louis Akpa Akpro until Christmas because of a broken foot, while midfielder Andy Robinson, who has also found the net seven times this season, has not played since 2 October because of hamstring and calf problems. Rovers took a 1-0 lead at the Goldsands Stadium on Saturday but succumbed to their first league defeat since April. And with Stevenage winning at MK Dons, Tranmere's lead at the top of League One was cut to four points. "We're not getting the hankies out and crying," added Moore. "It's been a fantastic run for us and the hardest thing now is trying to do it again. We'll have a go and we'll see what happens. "We've been magnificent and I'm not going to criticise my players. They've been fantastic. We kick on against because we've got two home games to come now."